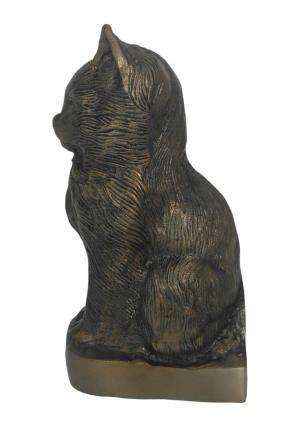 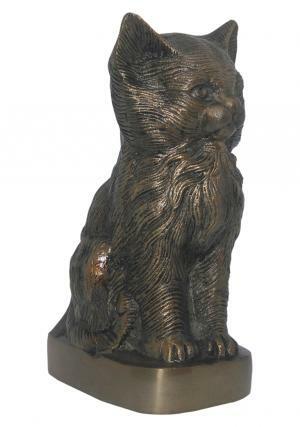 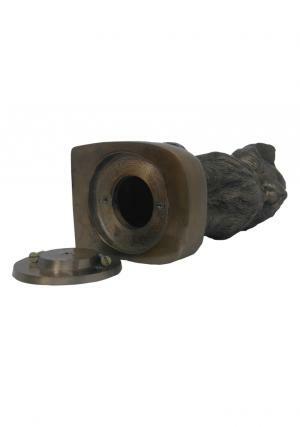 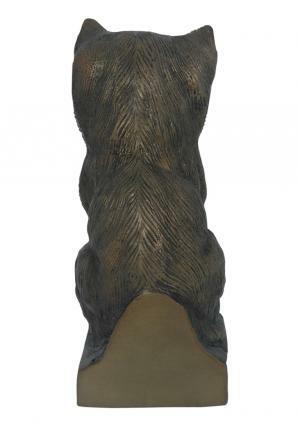 Precious Kitty Aluminium Pet Bronze Cremation Urn is a brand new bronze adorable pet sculpture urn. 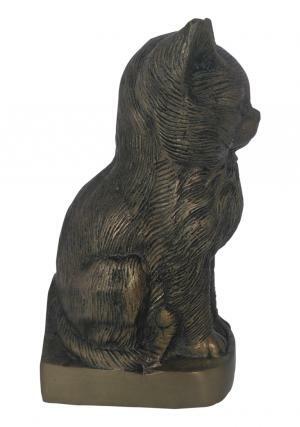 The cat pet urn is made of aluminium, engraved beautifully as watchable cat with felt lined base and top layer is coated in bronze finish. 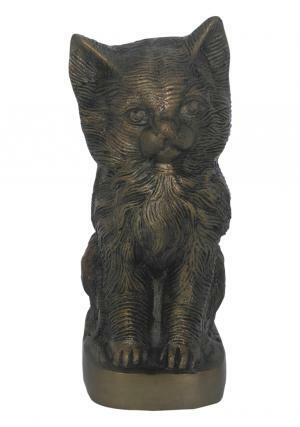 The large pet cat urn is measured to weight 0.83 kg, 7.68 inch height and width of 3.94 inch capable of preserving 25 cubic inch of ashes.